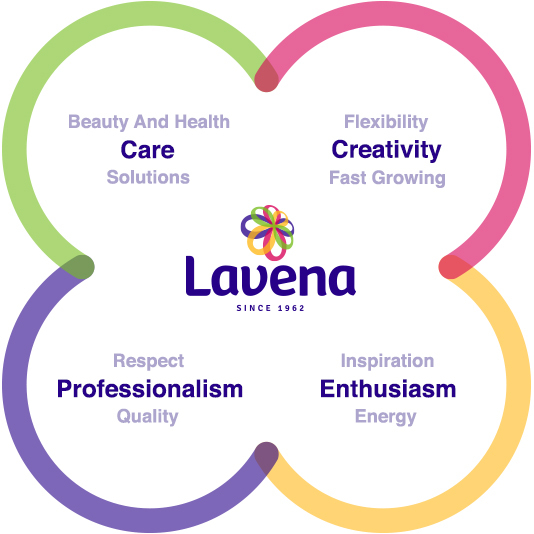 Managing a company like Lavena, with 55 years of experience in the cosmetic industry, is a true challenge. We are witnessing a real boom in the cosmetic industry. The variety of trade marks is at record level. The innovative products, the niche categories and the vague boundaries between cosmetics and pharmacy make the choice of modern consumers increasingly difficult. Applying the right strategy is the key to producer’s survival. Today we are challenged by the raised regulatory requirements, including outside the European Union. The dermatological tests and proving various quality and efficiency claims are becoming a standard in the cosmetic industry. Consumers are increasingly aware of the effects of different ingredients; the market is becoming yet more demanding. I am certain Lavena will handle these challenges. After decades of gaining experience, technological and manufacturing expertise, we continue our successful development. Creating beauty and health products is our mission and it fills us with enthusiasm. Our biggest reward is the choice made by our millions of users. Their trust we strive to justify and retain.